Liz Lazo has done it again! She has created beautiful, unique vintage-looking journals for Cootie Coo Craziness this October. 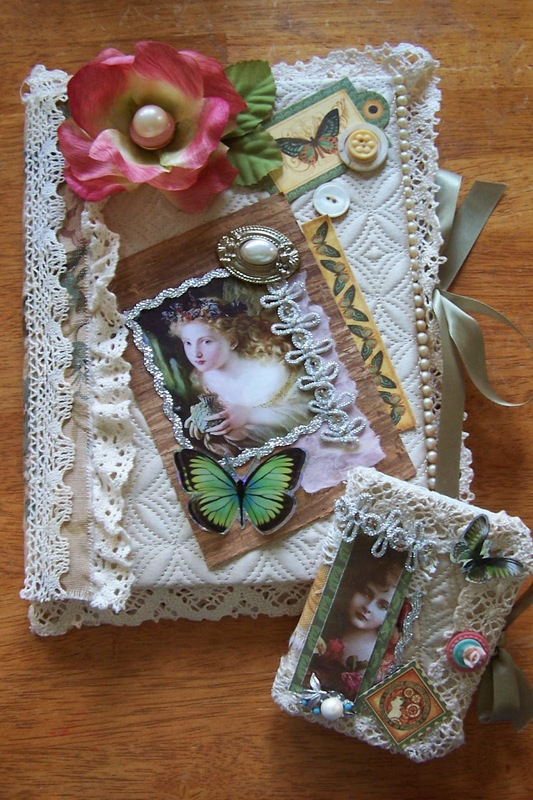 These two journals are made with a quilted fabric and are embellished with lace, photographs, button, ribbon, beads and bits of jewels. 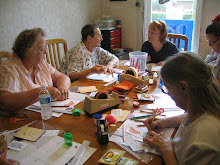 Participants in this class will have the opportunity to make both sizes of journals. What a great gift idea! !